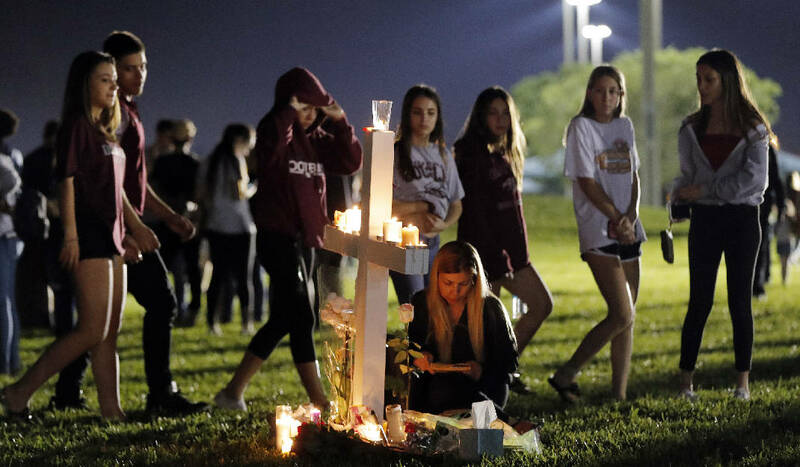 PARKLAND, Fla. (AP) — Nikolas Cruz jumped out of the Uber car and walked toward building 12 of the Marjory Stoneman Douglas High School, carrying a black duffel bag and a black backpack. A man inside the school spotted Cruz, and knew he was a former student. A troubled kid. The man radioed a co-worker, and within a minute heard gunshots. He slipped into the building, entered a stairwell and extracted a rifle from his bag, authorities said. He shot into four rooms on the first floor — going back to spray bullets into two of the rooms a second time — then went upstairs and shot a single victim on the second floor. 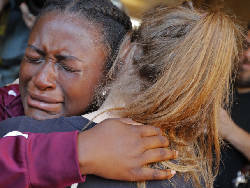 He ran to the third floor, where according to a timeline released by the Broward County Sheriff's Office, three minutes passed before he dropped the rifle and backpack, ran back down the stairs and quickly blended in with panicked, fleeing students.